Today's Fabergé object - a match case! Made by workmaster Mikhail Perkhin, sometime between the years 1860 and 1903! Sometimes Fabergé used non-precious metals for certain objects, like with this one. 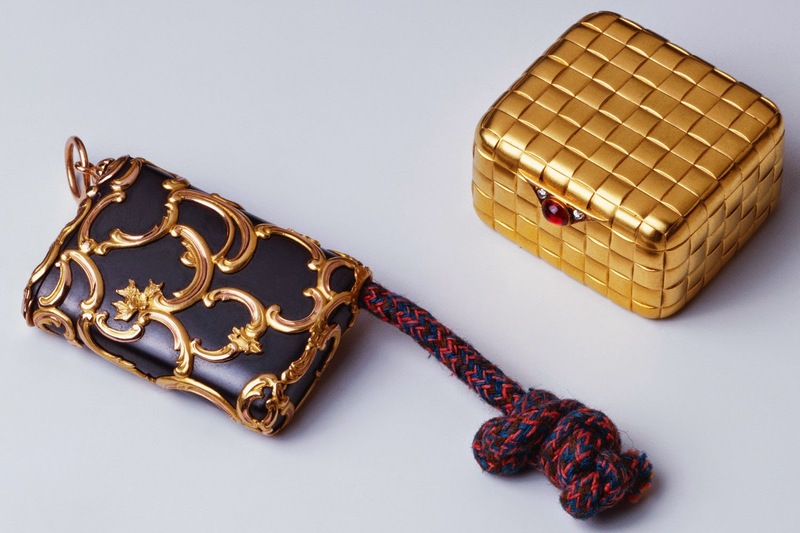 The match case is made of gunmetal, applied with rococo scrolls in two-colored gold, and an attached tinder cord. The dimensions of the case is 2'' x 1.3'' x 0.5'' (5.2 x 3.2 x 1.2 cm), and it was acquired by King Edward VII. It now belongs in the Royal Collection.